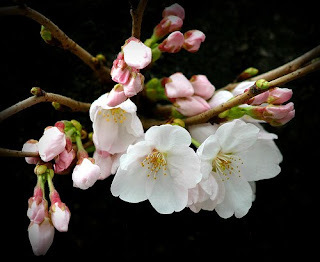 I did read another Murakami (posted here) and another Banana Yoshimoto (posted below). 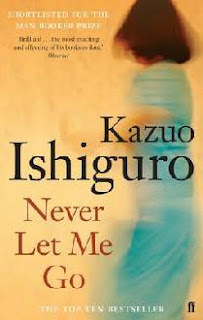 And I'm currently reading a new Japanese Author, Kazuo Ishiguro, although I'm a little out of sorts with this one as it seems to be set in the UK? 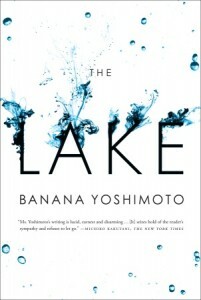 The Lake, by Banana Yoshimoto: I read this late last year and as it's been so long since I read it, my review probably wont be as passionate as I was when I was reading it. Many reviewers have raved about Banana's writing style, and I can see what it attractive about it. She seems to capture the emotions of the moment, in a way that makes the fictional every day just like my everyday... in this story she depicts a lost sole, a young woman who has recently lost her mother and has an estranged relationship with her businessman father. She moves to Tokyo to begin her own new life, and while alone, she finds solace in watching a young man from her window. A chance meeting of said man, soon turns into a loose fitting relationship and develops into something stronger. He's a strange man in himself, having grown up in a cult like world. The two of them weave together and have some interesting encounters, including some visits to a fortune teller. I was captured in this short story - I recall finding it difficult to put the book down, and I will try and find other Banana Yoshimoto novel to read this year. Any recommendations? Farewell JLC5, Thank you Dolce Bellezza for hosting, yet again a worthy challenge - one that encourages a learning of a different culture, the immersing of oneself in writings that come from a different world. 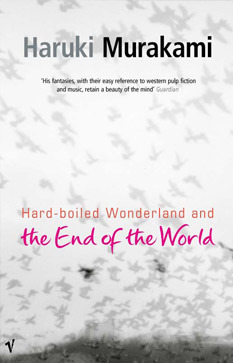 I'll be there for JLC6 if there's one..
Ishiguro lived in the UK for some time I believe. Never Let Me Go is a bit of a fusion read, the themes feel very Japanese to me but the style is English.